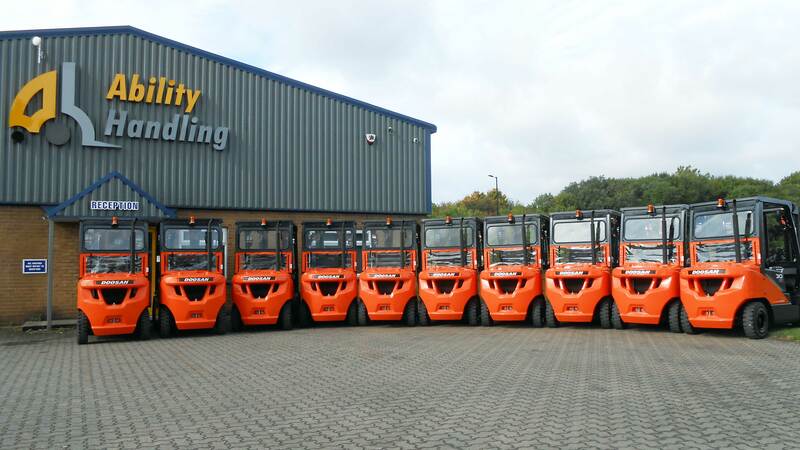 When one of our customer's based in North Yorkshire enquired about purchasing some new Doosan forklift trucks for their fleet, little did we think they would end up buying ten! Already a long term operator of Doosan trucks, our customer had planned to replace a few of their older machines with new Doosan D30S-7Y machines which feature a number of improvements over the superceded 5 series. These improvements include a new instrument panel, enhanced driver ergonomics, a new counterweight design for improved airflow, LED lighting and simplified service access. As the customer edged towards placing an order, the quantity had increased to six and all the trucks were to be fitted with part cabs comprising screen with wiper, metal top and split bulkhead. It was at this point Mike jetted off on his annual holiday but he asked the customer to let him know regardless. Imagine Mike's delight, while laid on the beach in Majorca, to receive a text from the customer confirming an order for ten machines! 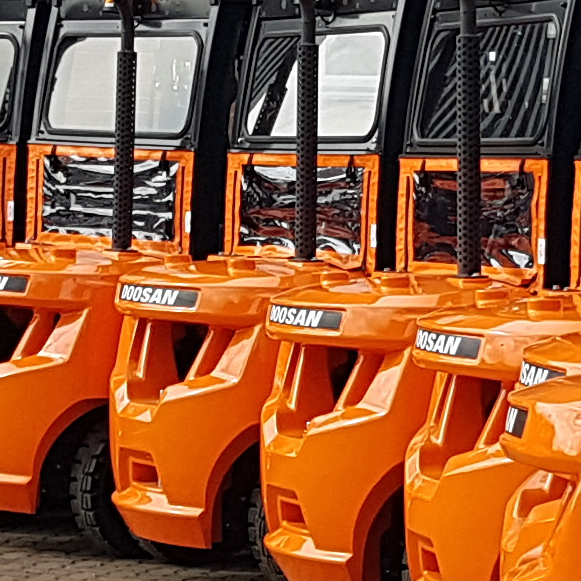 Thanks to the extensive stock of new Doosan machines now being held here in the UK, we were delighted to be able to supply all ten trucks complete with cabs, within just a few weeks from the receipt of the order. If you want to beat the DPF deadline contact us today and see what makes Doosan different.